West Ham have just eight games remaining to collect sufficient points to ensure their six-year stay in the top flight of English football continues for at least one further season. It seems ridiculous on the face of it, as the football season is approaching its climax (we are only six weeks away from the final game), that we should have a gap of three weeks between games. This is, of course, due to the later rounds of the FA Cup and the international break taking precedence. In view of our dismal form prior to the break, then perhaps in our case it is a welcome chance to re-group, work hard, and re-charge our batteries for the run-in. We have just eight games remaining to collect sufficient points to ensure that our six-year stay in the top flight of English football continues for at least one further season. Whilst all of the remaining games are likely to be important, this match against Southampton is a particularly crucial one. Looking at the other fixtures in this round concerning other teams involved in the relegation scrap, Stoke are playing at Arsenal, whereas Newcastle are at home to Huddersfield, Palace face a tough game with Liverpool visiting Selhurst Park, and Swansea travel to Old Trafford. If (and it is a big if) we can win the game, and if other results go our way, then the league table could look a lot healthier at the end of this group of matches. The table below represents the current position of the bottom eight, who I believe are the only realistic candidates for the drop. Brighton, Watford and Bournemouth on 34, 36, 36 points respectively, have probably done enough already but are not entirely safe yet. A victory, with the other results going to form in our favour could see us climb as high as 14th place in the table on 33 points. If that does happen then we could be five points clear of the drop zone with seven games to play, whereas some of the others would only have six matches outstanding. When you look at the table, then the bottom five have the poorest form in the last five games. We hold a bit of an advantage in that we still have five home games to play, which is more than any of the others, but on the other hand we have more teams in the top six to play in our remaining fixtures. A draw would still leave us well in the mix with a lot to do, whereas a defeat would be almost unthinkable as we would drop into the bottom three. It is still not clear exactly how many points will be needed to stay up, but any team averaging a point a game continues to be outside of the bottom three. If this remains to the end of the season, and I believe it will, then 38 should be a safe figure. At this stage my money would be on West Brom, Stoke, and Huddersfield to go down, but things can still change. The bookmakers’ odds concur with my prediction, as these are the three favourites, with Southampton and ourselves neck and neck just beyond them. West Brom look as certain as can be, whereas Stoke could join them adrift of the pack with their next two games against Arsenal and Tottenham, before they face us at the London Stadium on April 16. We have a fairly difficult run-in ourselves, but Southampton could also find themselves in a difficult position if we beat them, and then their next three games see them facing Arsenal (A), Chelsea (H) and Leicester (A). Huddersfield face two tough away games at Newcastle and Brighton before a home fixture against Watford. Their run-in then sees them playing Chelsea, Everton, Manchester City and Arsenal, and with their very poor goal difference I can see them joining West Brom and Stoke in the Championship next season. I see that a demonstration is planned at Stratford prior to the game, but I hope that the support is right behind the team when the game gets underway, and that we don’t see a repeat of the despair that was evident when we went a goal down against Burnley last time. I’m hoping that the sight of Mark Hughes on the touchline will once again inspire Arnie into a match-winning performance, but I’ve given up on trying to predict the team that our manager will select for this crucial game, as I am unable to read his mind. 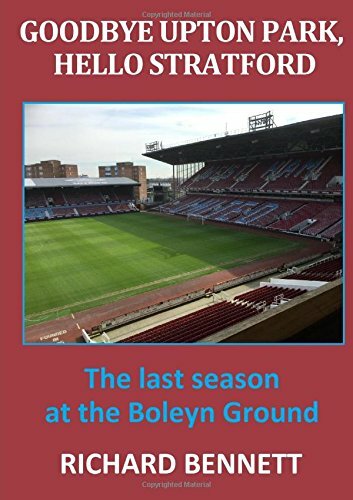 The most recent games between West Ham and Southampton have seen a glut of goals, including the fixture earlier in the season when we went down 3-2 to a late goal from a soft penalty, after pulling back from a two goal deficit. If our visitors win the game it would be the first time that they had completed a double in the league over us in a season for 20 years, and by doing so they would apparently inflict upon us our 1000th defeat in the top division in our history. And if they beat us by three goals then that would be our fourth consecutive league defeat by this margin or more, an unfortunate “feat” that hasn’t happened in the top flight of English football for 50 years! You know what happens with statistics like these when West Ham are involved! There are concerns over the fitness of Lanzini who was on international duty in the break, but Masuaku can return after his six game suspension, and apparently Fernandes, who hasn’t been seen for some time, is fit once again. Rice received some excellent reviews for his performance for Ireland and must start to get a permanent run in the team soon. But whatever happens, all will not be decided this weekend with a lot of football still to be played this season. Although there are still five home games to go, this will be the last Saturday 3pm kick off at the London Stadium. I fancy a surprising and unexpected 4-1 win for us. Of course what I fancy is extremely unlikely, but you can always hope! Previous Previous post: Five Takeaways: They Think It’s All Over, It Could Be Now!